Look under ‘J’ for Judge. 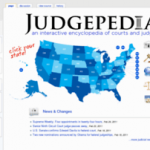 For legally minded persons who are looking for a new way to while away hours on the internet, we would like to recommend the Judgepedia, an American wiki encyclopaedia containing a wealth of information about the courts and judiciary in the United States. 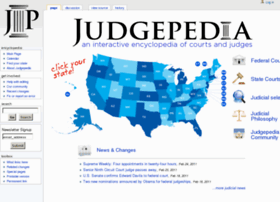 Judgepedia not only has information about the courts in all American states but also biographical information of all state and district judges. The site is invaluable to all those with an interest in the American judicial system, but also throws up some interesting facts and information for the casual browser; for example of the existence of Yazoo county Mississippi, and brief summaries of judicial philosophy underlying the American constitution. The UK appears to have no equivalent resource, although a list of all members of the judiciary can be found here, any volunteers for the creation of a UK Judgesaurus? Leave a reply on "Look under ‘J’ for Judge."